A man’s feet must be planted in his country, but his eyes should survey the world. My atheism, like that of Spinoza, is true piety towards the universe and denies only gods fashioned by men in their own image to be servants of their human interests. Sanity is madness put to good uses. His real name was Jorge Augustín Nicolás Ruiz De Santayana. He was a philosopher, essayist, poet, and novelist. For more, visit the Wikipedia page. 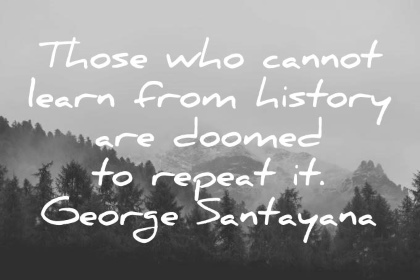 When was George Santayana born? When did George Santayana die? How old was George Santayana at death? Where was George Santayana buried? For more books by George Santayana, visit the Amazon page. aristotle bertrand russel friedrich nietzsche george santayana history learn malcolm x oscar wilde plato quote quotes ralph waldo emerson william james.